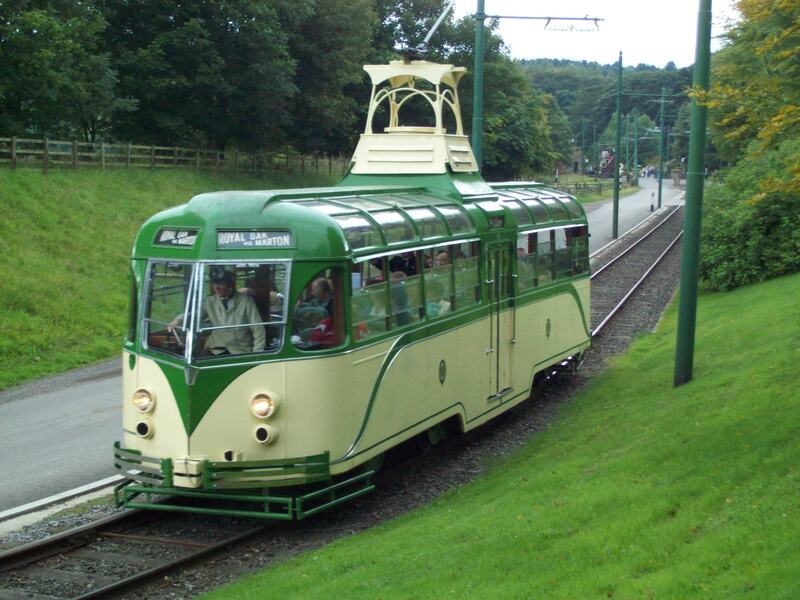 The Marton Vambacs, were originally built as Sun Saloon Cars to operate on the promenade during the summer. These cars were similarly shaped to the railcoaches and had been built by English Electric. The Sun Saloons were numbered 10-21 had half size windows and doors, there was no partitions between the driver and passengers, the control equipment was salvaged from older cars which were being scrapped at the time and also had fold away tarpaulin roofs. The cars were built in 1939 and didn’t last long in this capacity as World War 2 started not long after they entered service. The Sun Saloons then found a new role as troop carrying trams, taking troops from their barracks at Squires Gate to the Rifle Ranges at Rossall. In 1948, when the Marton route was being relaid, the trams were further upgraded and fitted with the revolutionary VAMBAC equipment which allowed smoother acceleration and braking and by 1952, these trams were the mainstay of the route, additionally the trams were fitted with Maley and Taunton HS44 trucks fitted with resilient wheels which gave a much smoother and quieter ride. Five of the VAMBACS lasted till October 1962 when the Marton route closed, with No. 11, operating on the last day and was withdrawn at the end of service on that day. The VAMBACS remained in Marton Depot and were joined by other surplus trams for scrapping in 1963. VAMBAC 11 survived as it was requested for a tour of the remaining parts of the tramway early in 1963 and then found its way into preservation not returning to Marton Depot to suffer the fate of its sister vehicles. Subsequently the No.11 was acquired with the idea of operating the Hayling Island Branch and moved to Havant Goods Yard where it remained until 1969. In 1969 the goods yard was being cleared by British Railways and the tram was under threat of scrapping if not moved. A last minute move by memebers of the then fledgling East Anglia Transport Museum saw No.11 loaded onto a trailer, using tram jacks borrowed from Portsmouth Corporation, for the journey to Carlton Colville near Lowestoft. Following arrival at the museum work commenced to make good the deterioration that had occurred during its outside storage at Havant and the car was made operational during the 1970’s and ran until the 1980’s when withdrawn in order to deal with corrosion and issues associated with the complex Vambac control gear. Due to the need to progress the development of the museum restoration continued only slowly and no.11 returned to service in 2005 following an extensive and expensive resoration taking many hours of work by volunteers at the museum. No.11 has since then been a regular performer at the museum and in September 2011 went on a brief holiday to the Beamish museum and operated on the circular 1.5 mile tramway which serves the various areas of the museum. 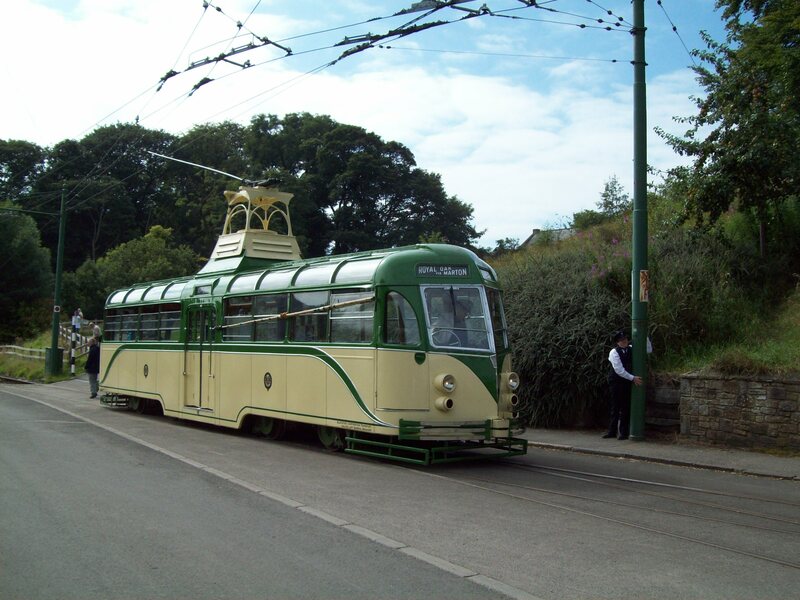 Association with the Hayling Billy line has allowed this tram to survive and continue to give pleasure to many. Tim also notes that an ex London Transport Tram, No 1858 was seeking a new home and one of the locations considered was Havant yard. The owner then decided to move it to Carlton Colville, where it operates and is now in its 60th year of preservation. I need to correct a statement in my opening comments introducing Tim’s article. The organisation that brought the tram to Havant were ‘The Hayling Light Railway Society (HLRS)’ and NOT ‘The Hayling preservation society’. This error was pointed out to me by the ex HLRS membership Secretary. For accuracy, I have amended the article. My apologies for this error. London Transport Tram No:1858 is a double-deck vehicle, would it have fitted through the arch of the East Street bridge in Havant, or would they have had to lower the track? Curiously prior to restoration to running order at Carlton Colville, it spent many years on open air display at Chessington Zoo of all places. Obviously at the time this was considered appropriate location for an endangered and near extinct species!